EUREKA MACHINES ANNOUNCE NEW CROWDFUNDED ALBUM, 'BRAIN WAVES' AND UK TOUR. Cult West Yorkshire power pop band Eureka Machines (featuring members of The Sisters Of Mercy and Ginger Wildheart Band)! have announced their fourth album, 'Brain Waves' for release in March 2015. A testament to the Machines' dedicated fanbase, the entirely crowdfunded album hit 100% of target total in 80 minutes, and 200% in two days. There are still three months left to go! The band have previously had plenty of success on PledgeMusic; third album, 'Remain In Hope' hit over 500% of its intended target and garnered excellent reviews from mainstream press, receiving 8/10 in Classic Rock, 5/5 in The Sun. This is no ordinary pre-order campaign, with exclusive content for subscribers, starting with a free four-track 80s covers EP for download. Also planned is a live album, acoustic sessions, video interviews and updates, an online gig, etc. Also, the band is donating 10% of everything to MIND, the mental health charity. 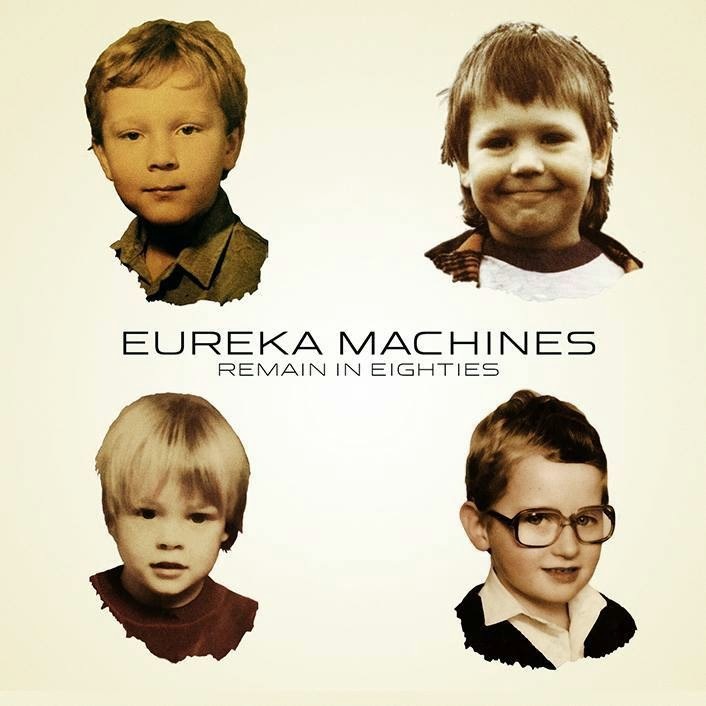 Based in Leeds, Eureka Machines formed in 2007 and features Chris Catalyst from The Sisters Of Mercy and The Ginger Wildheart Band on guitar/vocals, Davros (guitar/backing vocals), Pete Human (bass guitar/backing vocals) and Wayne Insane on drums. The band will tour the UK throughout May - dates below!